The rebuild has opened the door for Taren King to make herself a regular in the centre-back pairing. Photos: Supplied. 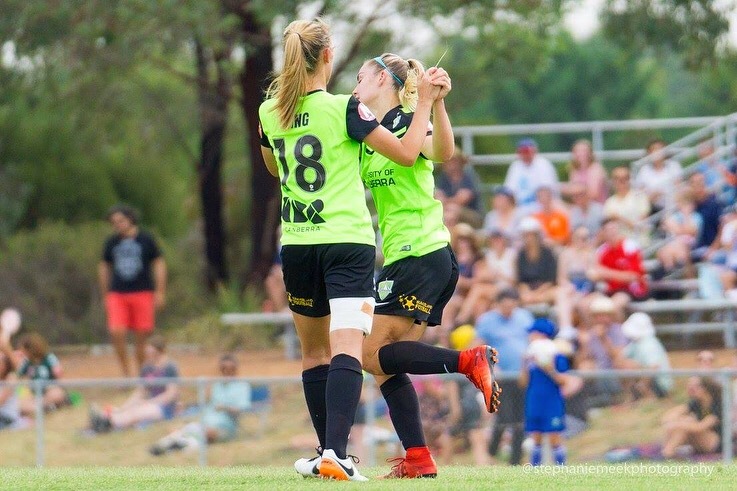 A young centre-back who impressed coach Heather Garriock during the eight games of her debut season has signed on for another season at Canberra United. After coming into the squad last year as somewhat of an unknown, 21-year-old Taren King made a name for herself at the back and is aiming to be a starter in Garriock’s match-day squad in season 11 of the W-league. 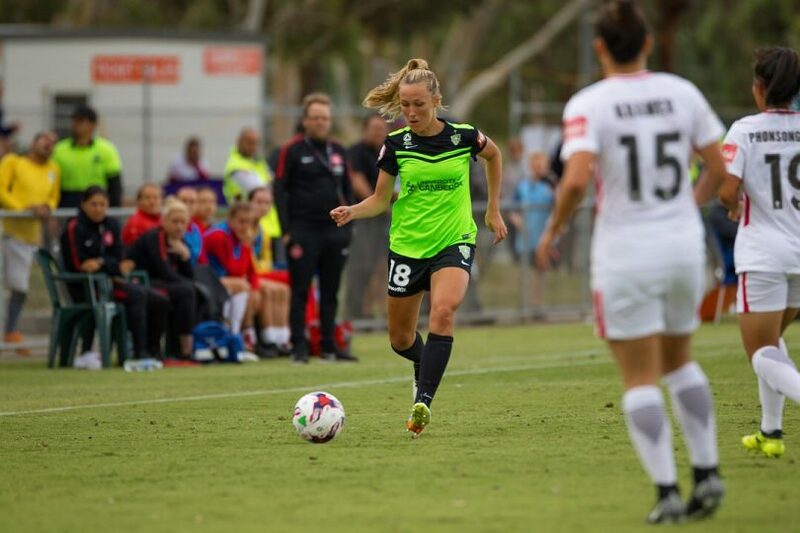 Canberra United is undergoing a squad rebuild after the club posted its worst season in its 10-year history and have already signed dynamic winger Nikola Orgill and defender Natasha Prior from the Newcastle Jets for the upcoming season. The rebuild has opened the door for King to make herself a regular in the centre-back pairing, which she plans to make her own. “I exceeded my own expectations in my first season, and Heather’s expectations too I think,” King said. Across her eight matches, King excelled as a solid option at the back, winning over half of her duels, cutting passing lanes and proving to be a strong distributor from the backline. Garriock said she was looking forward to King returning after her strong first year in the league. “Taren came to Canberra as a trialist and was signed by us and was a consistently strong performer at the back during the campaign,” she said. The 2018-19 W-League season is set to begin in late October. Tags canberra united Heather Garriock Natasha Prior Nikola Orgill Taren King W-League.